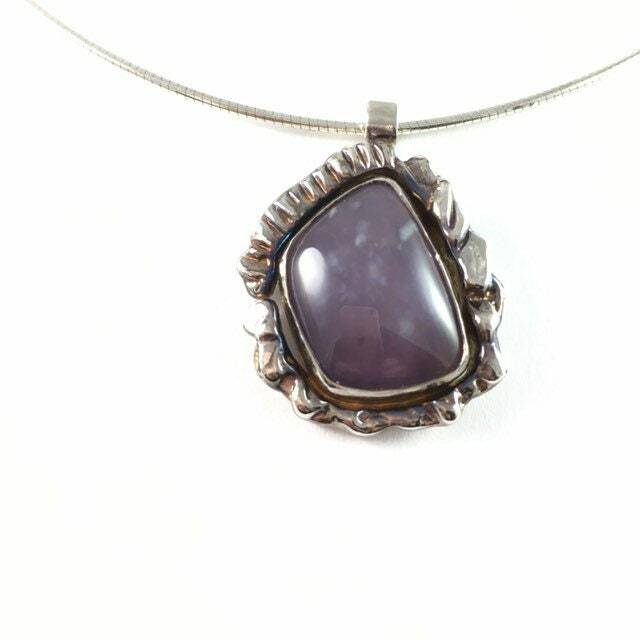 Handmade Original Free Form Artistic Design Pendant Necklace. 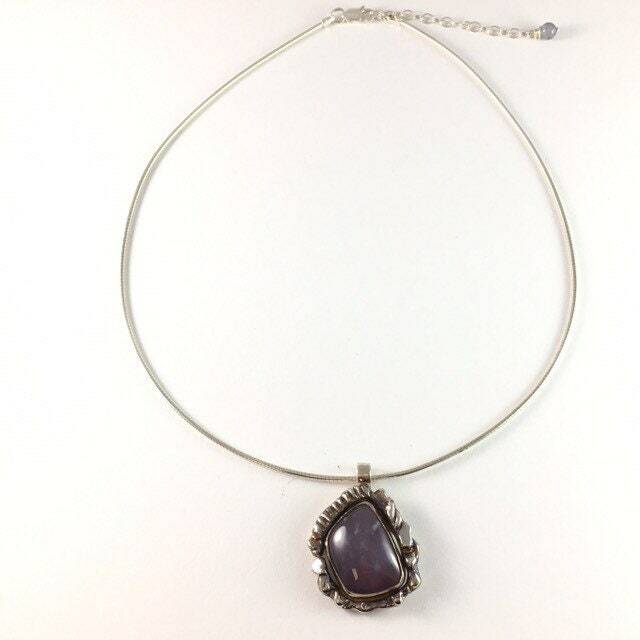 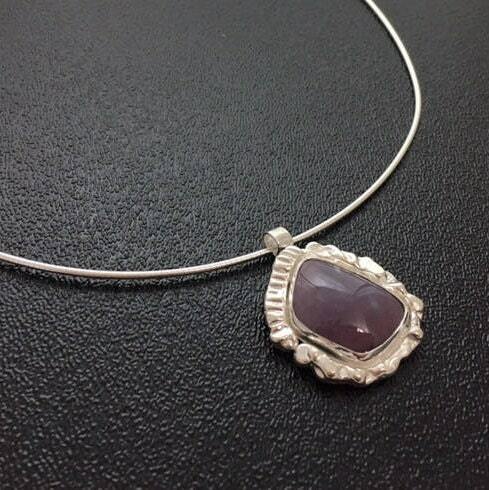 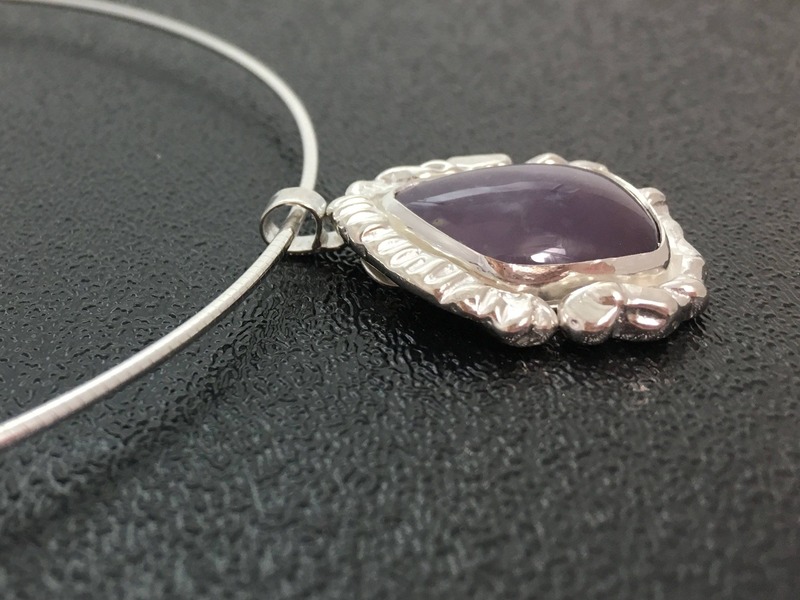 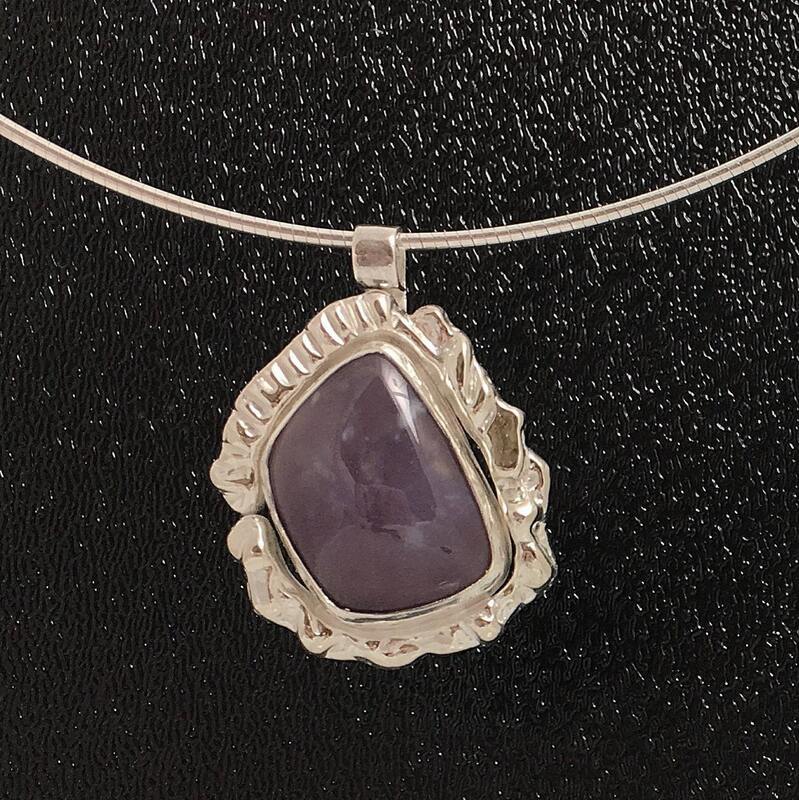 Lavender blue agate is bezel set in a handmade one of a kind sterling silver pendant. 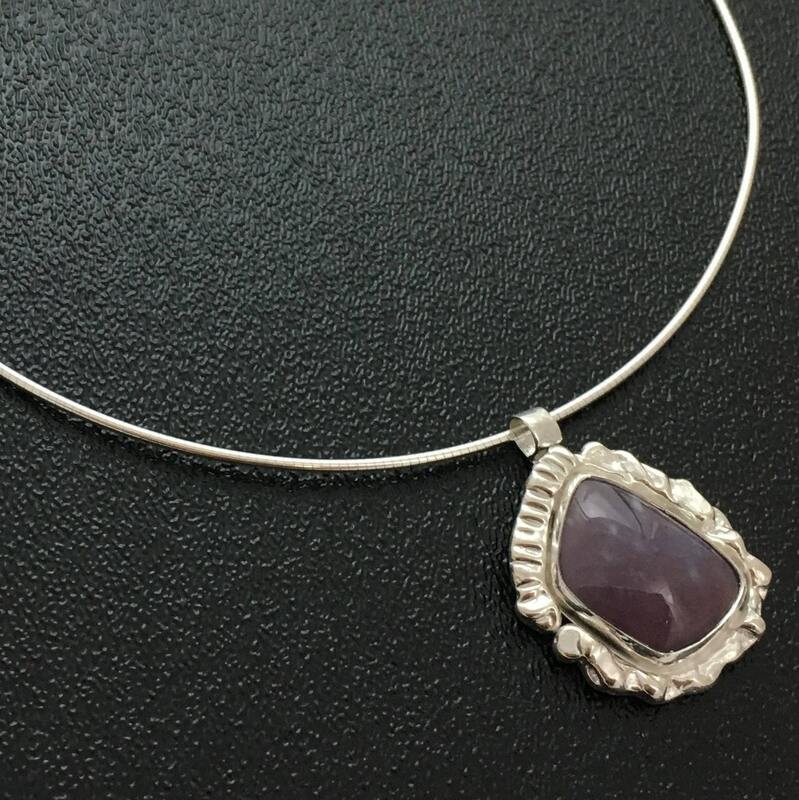 This necklace comes with an 16" sterling omega style chain and 2" chain extender. 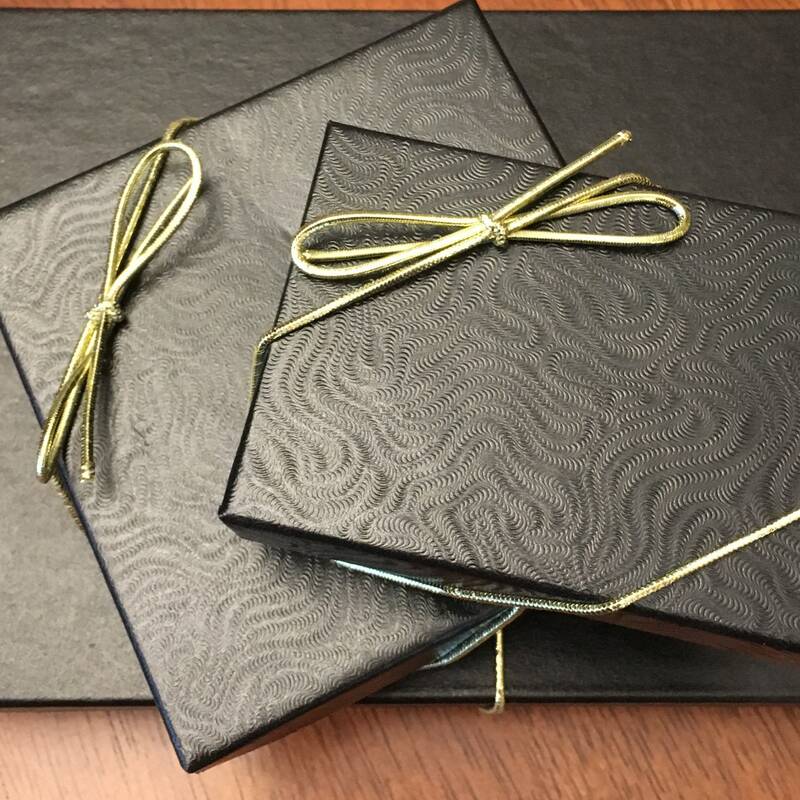 It is shipped in a gift box ready for gift giving. 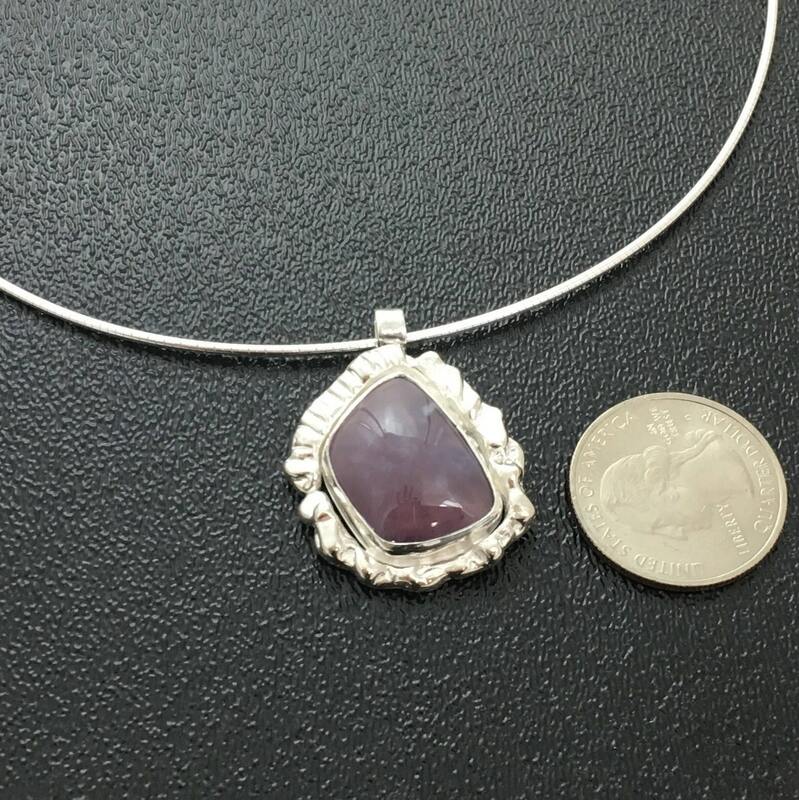 The pendant is 25mm wide and 35mm from top of bail to bottom of the pendant.